Alcohol is a poison that kills cells. 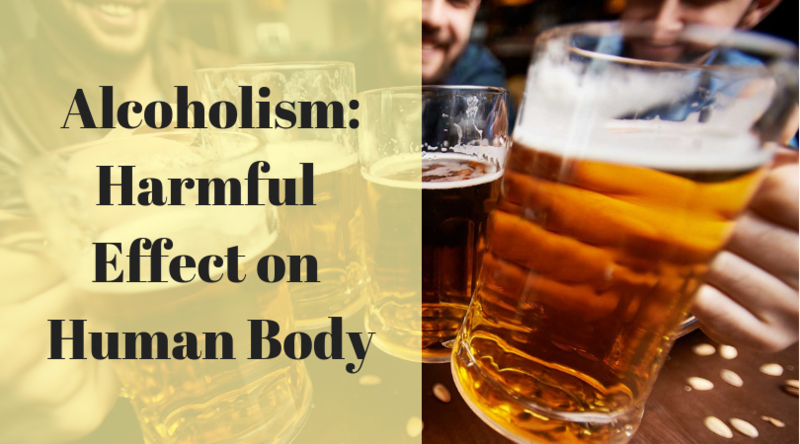 Ethanol is concentrated in the liver and brain, therefore, the cells in these organs are damaged first. The concentration of ethanol, sufficient to kill brain cells, is created after taking more than 20 ml of alcohol in men and more than 10 ml in women. Mutant cells of the body in the adult person are usually destroyed by the immune system (and if it does not cope for some reason, then cancer occurs, in alcoholics, the risk of cancer of the oral cavity, esophagus, stomach and liver is high). Mutations in germ cells do not manifest themselves in a person who has developed these cells, but they do manifest in his/her children. Spermatozoa in the testes of men develop within 75 days, so if you plan to conceive – you should completely abstain from alcohol within 2.5 months, and everything will be fine. For women, such a measure will not help: they have eggs from birth, so if a woman is 20 years old, then her eggs are 20 years old, and all mutagenic effects that occurred during these 20 years accumulate in the eggs. Alcohol violates the fetus development. These disorders are not associated with mutations, but with the wrong interaction of the cells of the developing fetus. The brain suffers the most: children of alcoholics have usually mental defectives. In addition, deformities are also possible: underdevelopment of the limbs, damage to the heart, kidneys, etc. Alcohol is a drug. After consumption, it is concentrated in the brain and it influences 2 groups of neurotransmitters. It activates the receptors for gamma-aminobutyric acid (GABA), one of the most important inhibitory mediators of the human nervous system. The excitability of the cells decreases, the person calms down. It enhances the synthesis of our own opiates: endorphins (pleasure hormones), as well as dopamine – a mediator that excites pleasure centers. The result is euphoria. Ethanol becomes a regular source of energy since it is much easier for the body to get energy from alcohol than from food. But amino acids, fatty acids, vitamins from alcoholic beverages cannot be obtained, therefore alcoholics develop dystrophy and vitamin deficiency. Artificial stimulation leads the body to produce less of its own opiates and GABA. Without opiates, a person is dissatisfied which is removed by alcohol intake. This leads to the development of the syndrome of mental dependence, and then all other drug-related syndromes. It is a proved fact alcohol ruins the health. If you quit this bad habit and try to restore your health you are welcome to visit Pharmacy Mall – https://canadianhealthcarepharmacymall.com/ to find affordable and high-quality medications online. Every person may change the life if he takes efforts. The staff of our company has composed an abstract for you explaining the modern environment relating to alcohol consumption. In the past century, a wave of “dry laws” covers the world. Unfortunately, such prohibitions did not result in anything constructive. But they led to a massive underground production of poor-quality alcoholic beverages. As a result, all prohibitions on the use and sale of alcohol were quickly lifted due to their inefficiency. However, there are examples of countries that quite effectively solved this problem, but with slightly different methods. There are countries where alcohol is not completely prohibited but it is a little difficult to get it on a free basis. In fact, it is better not to abuse alcohol as it may change your life dramatically. Life is much brighter than it seems when you have a lot of problems. There are many ways to quit, find your own and start a new life.